The Pittsburgh Pirates visit Citizens Bank Park on Wednesday, July 5, 2017 to play the Philadelphia Phillies. The probable starters are Gerrit Cole for the Pirates and Ben Lively for the Phillies. The opening line for this matchup has Pittsburgh at -147 and Philadelphia at +137. 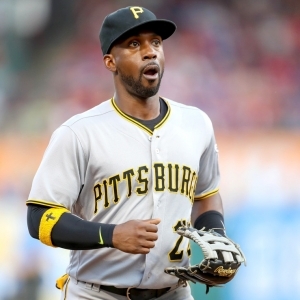 The Pirates have a 36-43-4 over/under record and a 42-41-0 run line mark. The Phillies are 42-39-0 against the run line and have a 39-36-6 over/under record. The Pirates have a 37-46 overall record this season. Starting pitcher Gerrit Cole has a 6-7 record with an earned run average of 4.51 and a WHIP of 1.30. He has 86 strikeouts over his 101.2 innings pitched and he's given up 106 hits. He allows 9.4 hits per 9 innings and he has a FIP of 4.56. The bullpen has an earned run average of 4.07 and they have given up 285 base hits on the year. Teams are hitting .254 against the bullpen and they've struck out 259 hitters and walked 102 batters. As a team, Pittsburgh allows 9.4 hits per nine innings while striking out 7.3 batters per nine innings. They are 14th in the league in team earned run average at 4.31. The Pirates pitchers collectively have given up 778 base hits and 358 earned runs. They have allowed 95 home runs this season, ranking them 24th in the league. Pittsburgh as a pitching staff has walked 231 batters and struck out 609. They have walked 2.8 men per 9 innings while striking out 7.3 per 9. They have a team WHIP of 1.35 and their FIP as a unit is 4.23. Philadelphia has a 28-53 overall mark this year. With an earned run average of 3.72, Ben Lively has a 1-3 record and a 1.37 WHIP. He has 13 strikeouts over the 38.2 innings he's pitched. He's also given up 41 hits. He allows 9.5 hits per nine innings and his FIP stands at 4.91. The bullpen has an earned run average of 4.67 and they have given up 272 base hits on the year. Teams are hitting .259 against the Phillies bullpen. Their relievers have struck out 251 batters and walked 115 opposing hitters. As a team, Philadelphia allows 9.4 hits per nine innings while striking out 7.5 batters per nine innings. They are 24th in the league in team earned run average at 4.74. The Phillies pitchers as a team have surrendered 751 base knocks and 380 earned runs this season. They have given up 115 home runs this year, which ranks 6th in Major League Baseball. Philadelphia as a staff has walked 269 hitters and struck out 597 batters. They give up a walk 3.4 times per 9 innings while they strike out 7.5 per 9. Their team WHIP is 1.42 while their FIP as a staff is 4.80.